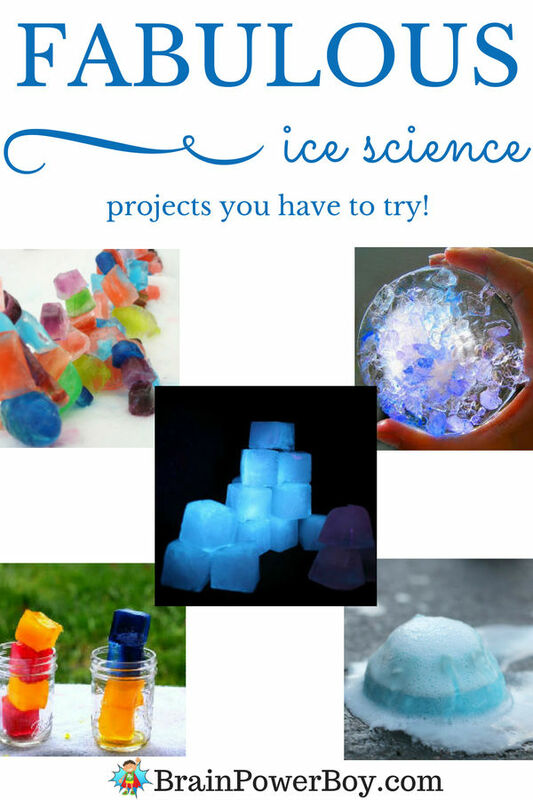 Try some fabulous ice science projects with your kids. They are going to have so. much. fun! All of these ideas are easy to do and the effects are really neat. In fact, your kids are going to want to do them more than once, so be prepared. We gathered up a bunch of wonderful ice projects and experiments for you to use. 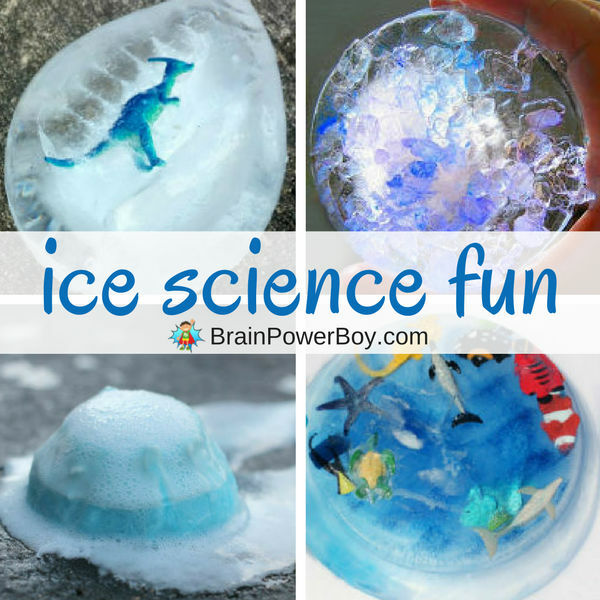 Icy cold science fun is great for either summer or winter! Try a melting ice science idea that will help kids learn color mixing. 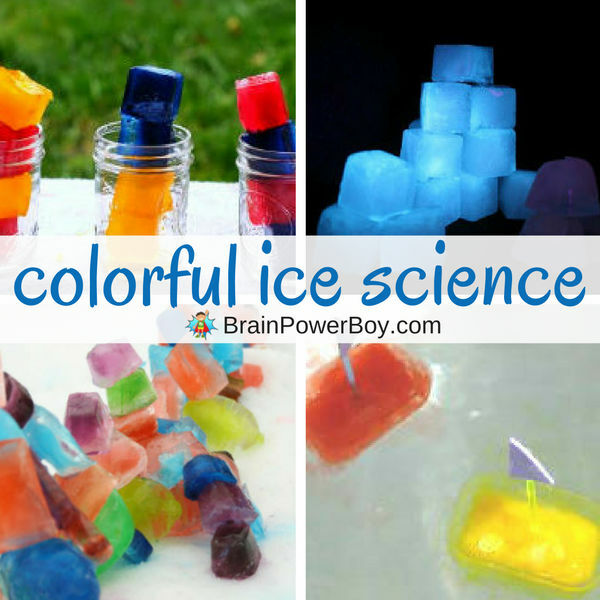 Bright beautiful colored ice cubes make this activity exciting. What colors will you make when you mix your choices together? I think your kids are going to love this glow-in-the-dark ice science experiment. Grab a black light and you will be all set to make glowing ice cubes. A different twist on ice sculpture building is this idea made with stacked colored ice cubes and ice sticks. You need a below freezing day to give this one a try. You will see why when you read her directions. How about making an ice boat? Talk about what floats and what doesn’t and why ice floats while making your boats. Simply pour water into containers such as the bottom of a milk carton or the bottom of a cut off plastic bottle and freeze. These don’t last too long so make a few. This idea is super for summer but totally do-able in winter as well. Either with a nice sunny winter’s day or in a plastic tub. Icy Dinosaurs Eggs! This ice science experiment is all about ice and dinosaurs. They are wonderful for freezing, melting science and you could add a bit of salt tool if you like. We are totally trying this one. Create ice tunnels with ice rounds, salt and watercolors. These are so neat. They look like crystals! You never really know exactly what you are going to get. Includes free printable instructions. Make your own ice volcanos. This is a good one to try outdoors or indoors in plastic bin. You can color them as well. While it is a simple baking soda and vinegar reaction, it looks pretty neat done this way. Kids always love doing this type of thing, don’t they?! Instead of simply doing the basic salt melting experiment, try this one to determine which type of salt does the job the best. This ice experiment with colorful ocean animals gives this choice a lot of kid appeal. Thank you so much for stopping by. I hope you enjoyed these ice science projects and are going to try a few. If you are looking for more science ideas try this article. 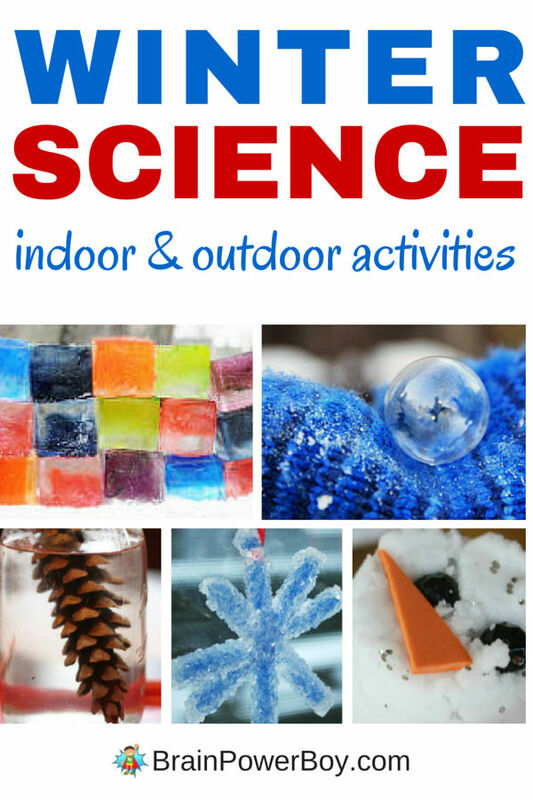 You can also take a look at these other interesting winter science unit study ideas.